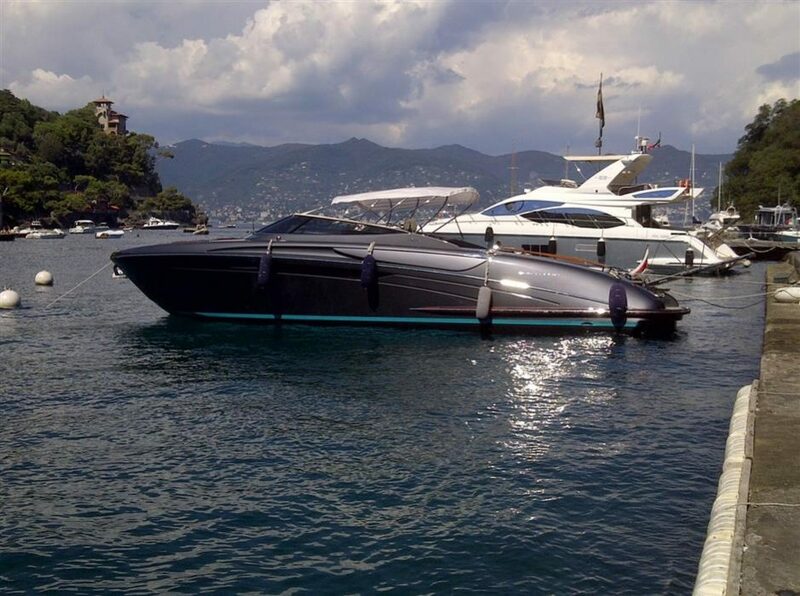 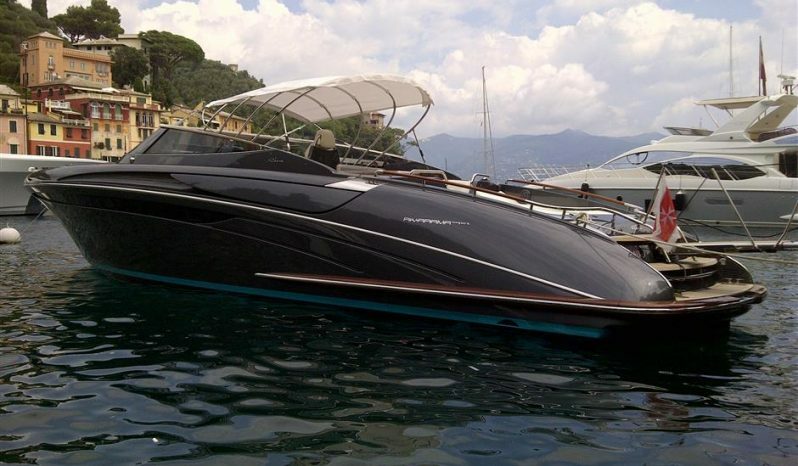 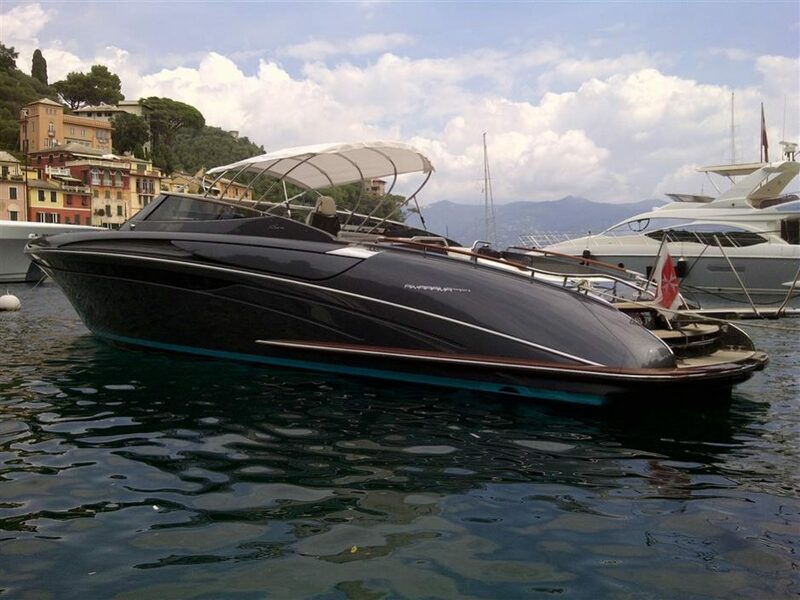 The 43-feet Rivarama Super is the evolution of the classical Rivarama, which was awarded the tile of Best European Open yacht in the category between 40 and 60 feet for two consecutive years. 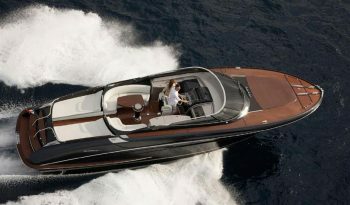 It stands out for its natural elegance and comfort, two features that have won it the nickname of “floating suite”. 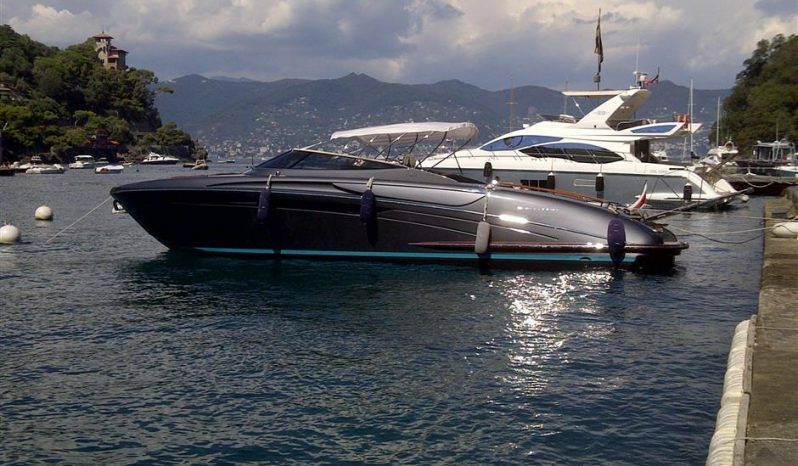 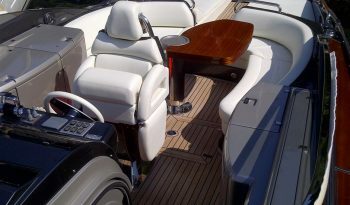 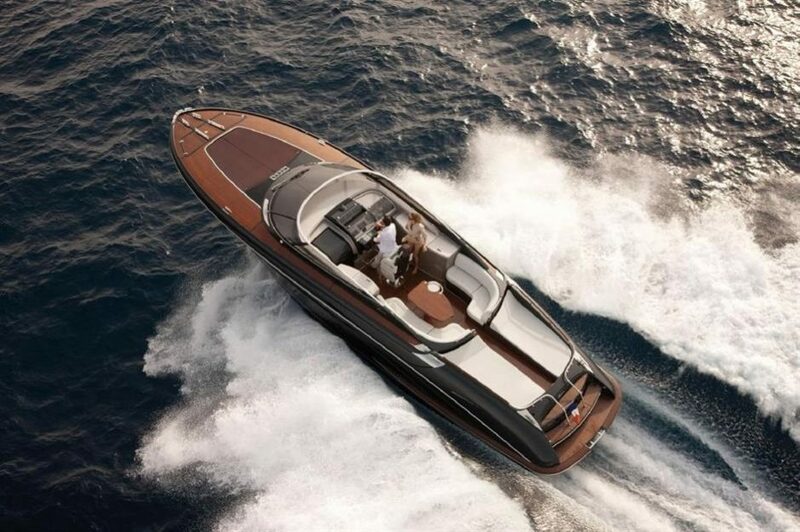 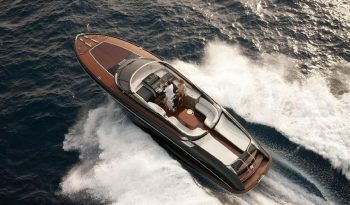 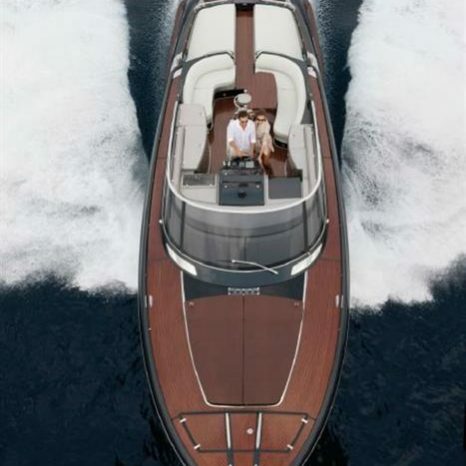 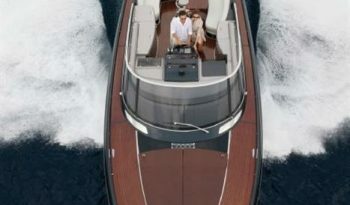 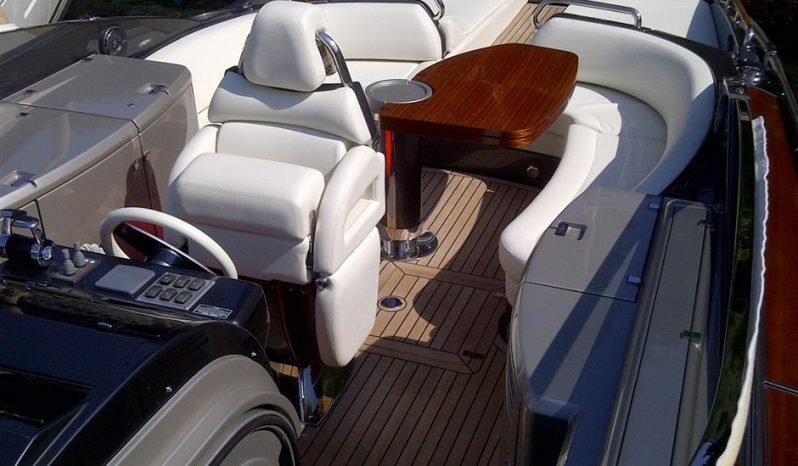 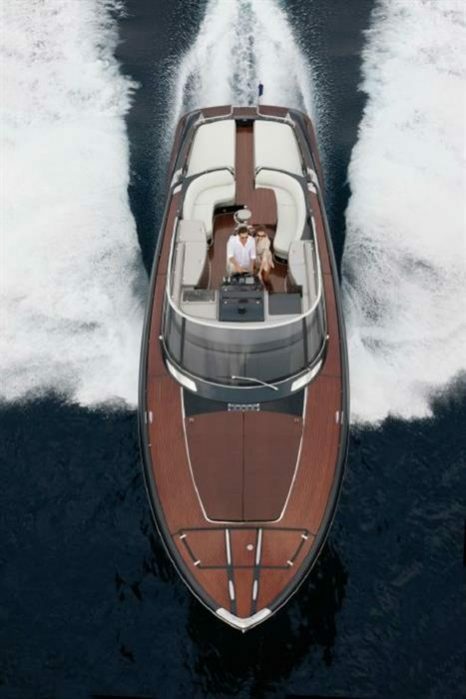 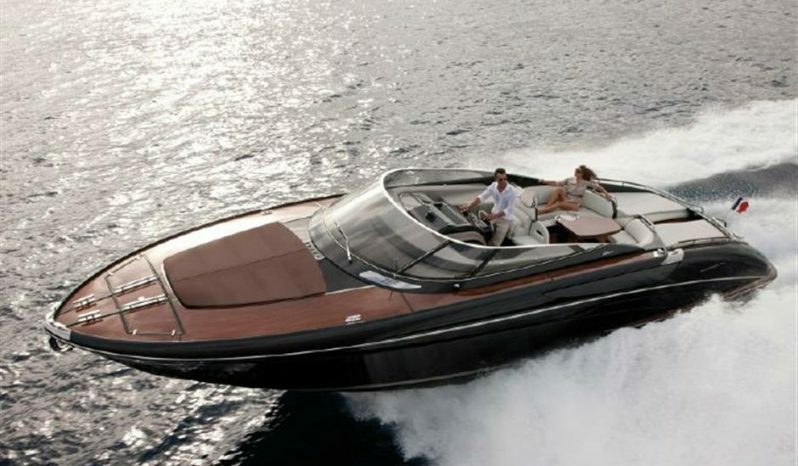 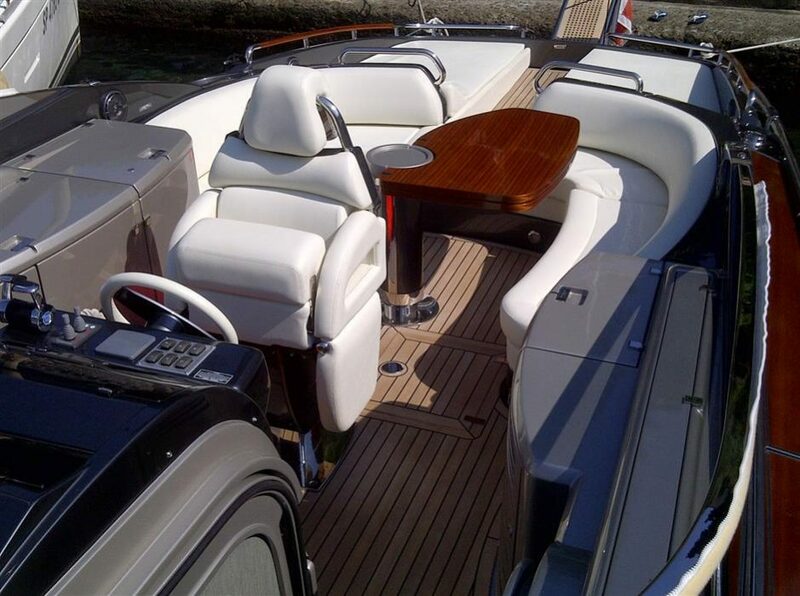 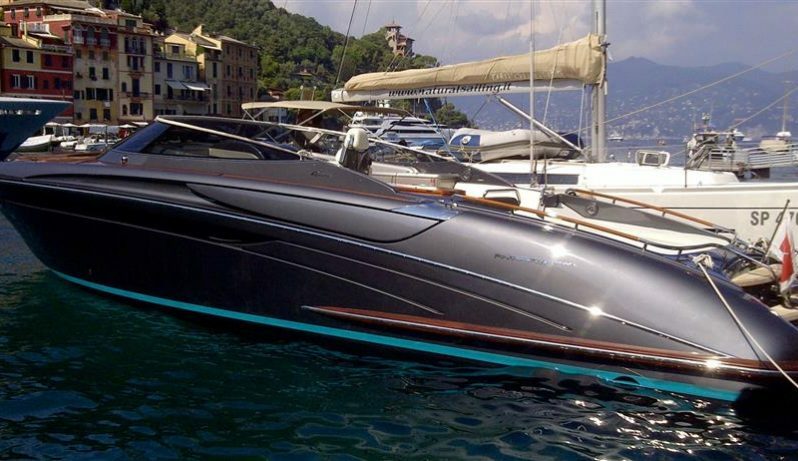 The deck, entirely clad in mahogany, makes of this yacht the “conceptual heir” of previous legendary models. 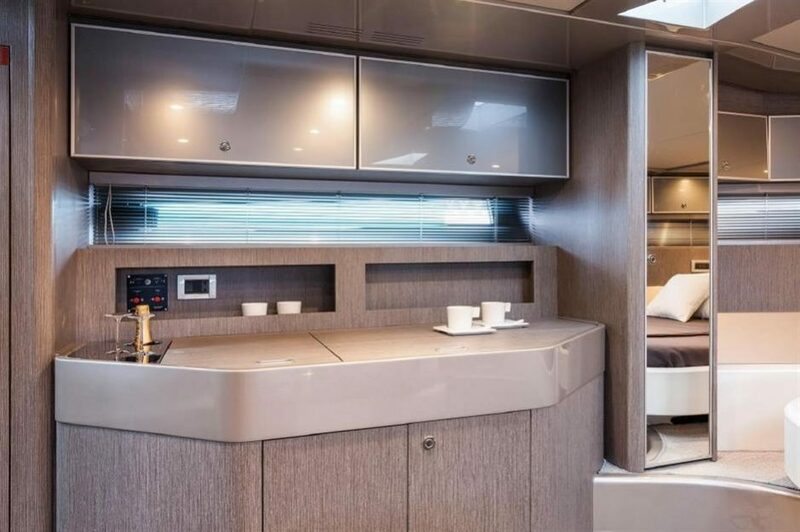 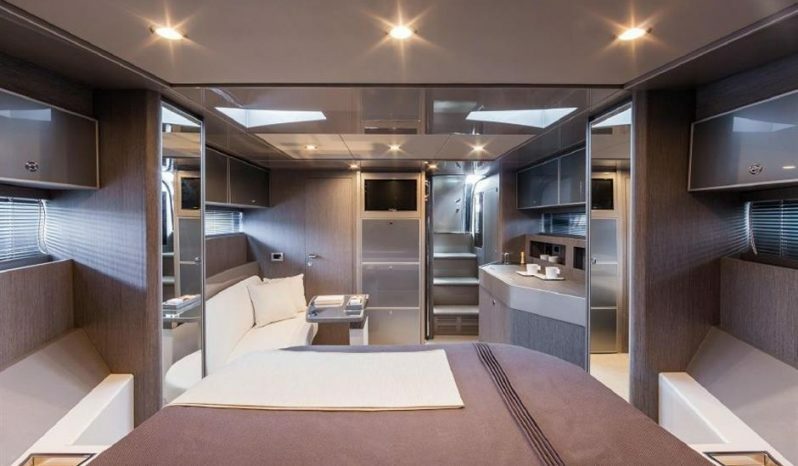 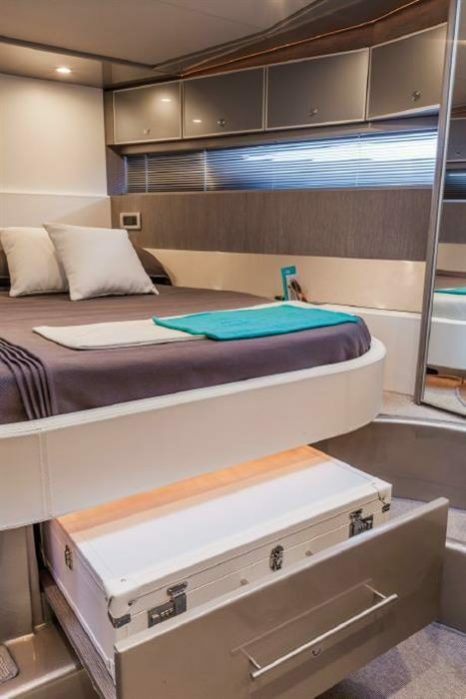 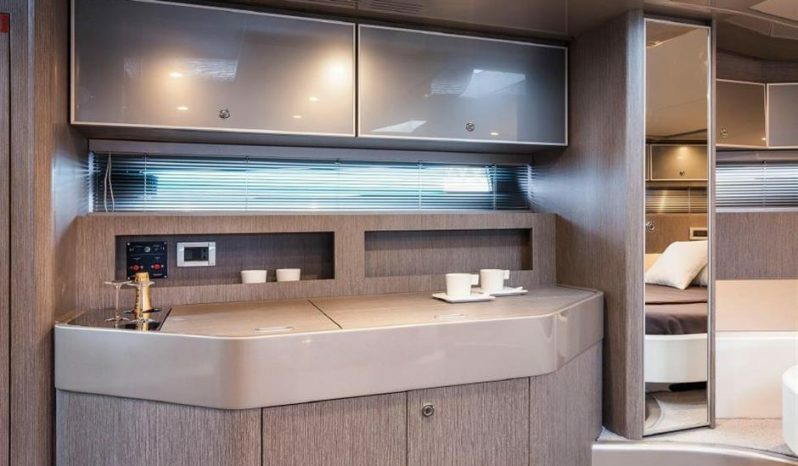 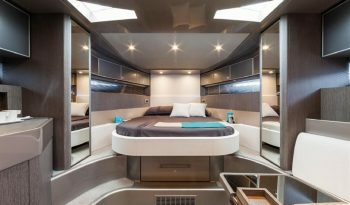 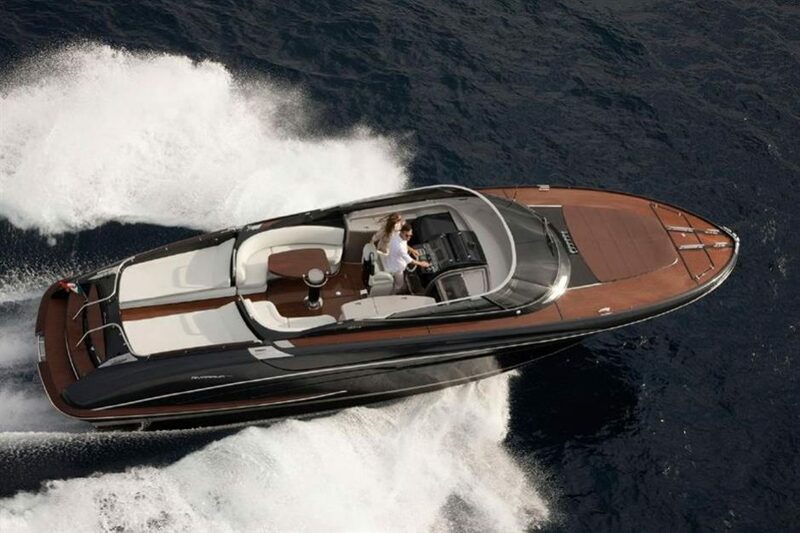 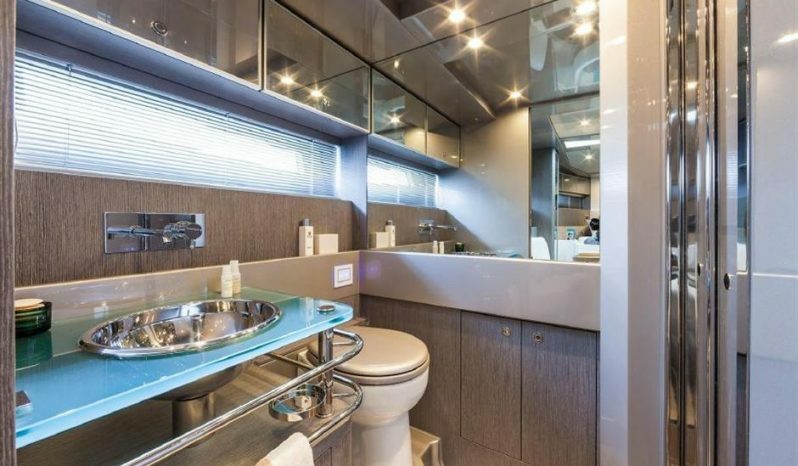 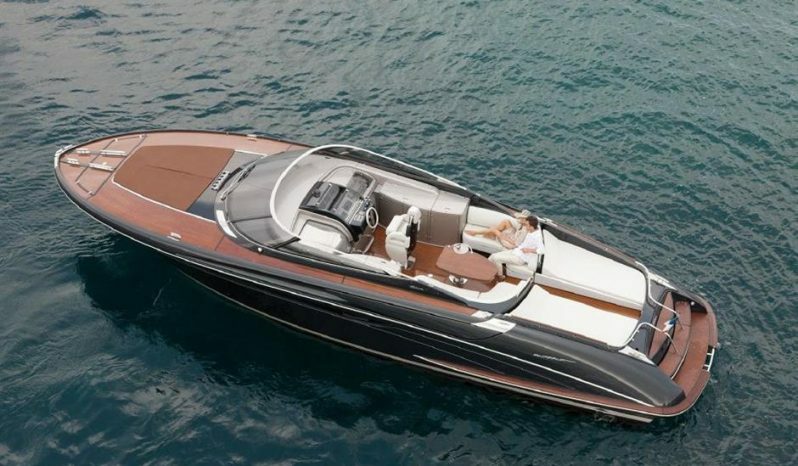 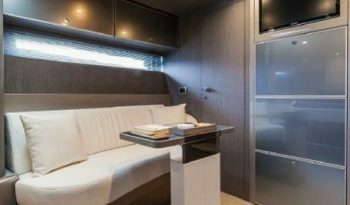 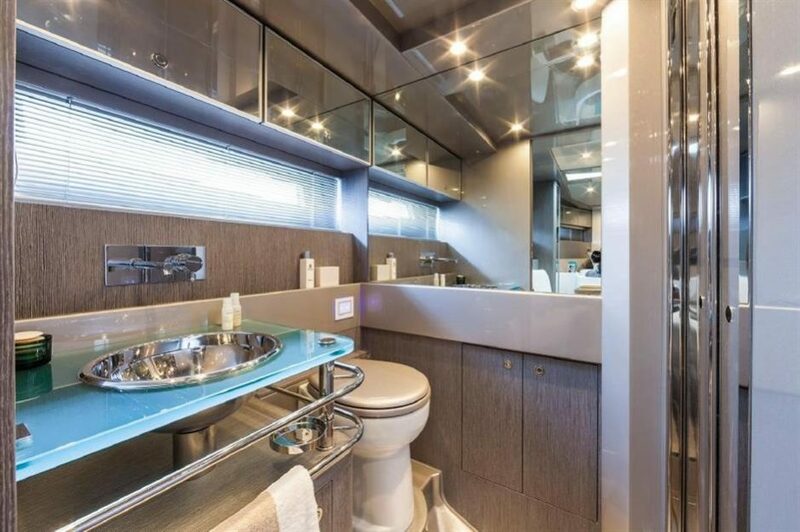 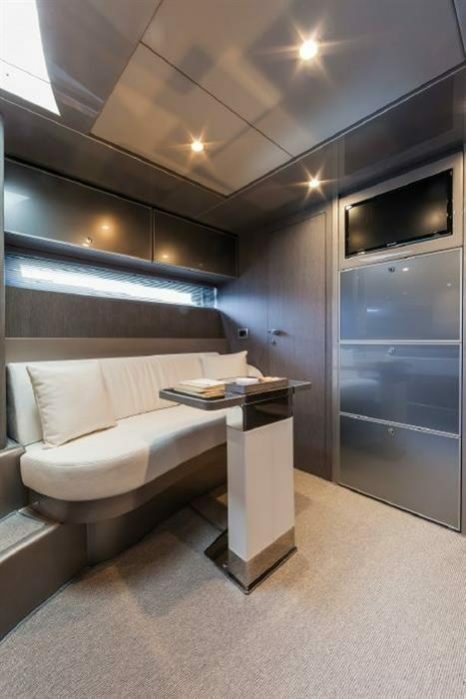 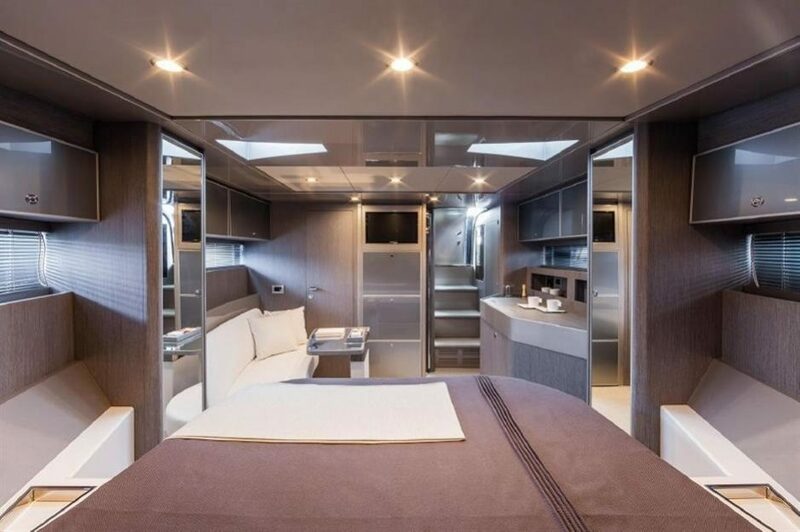 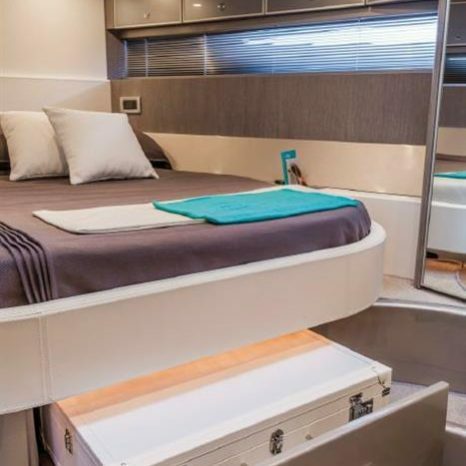 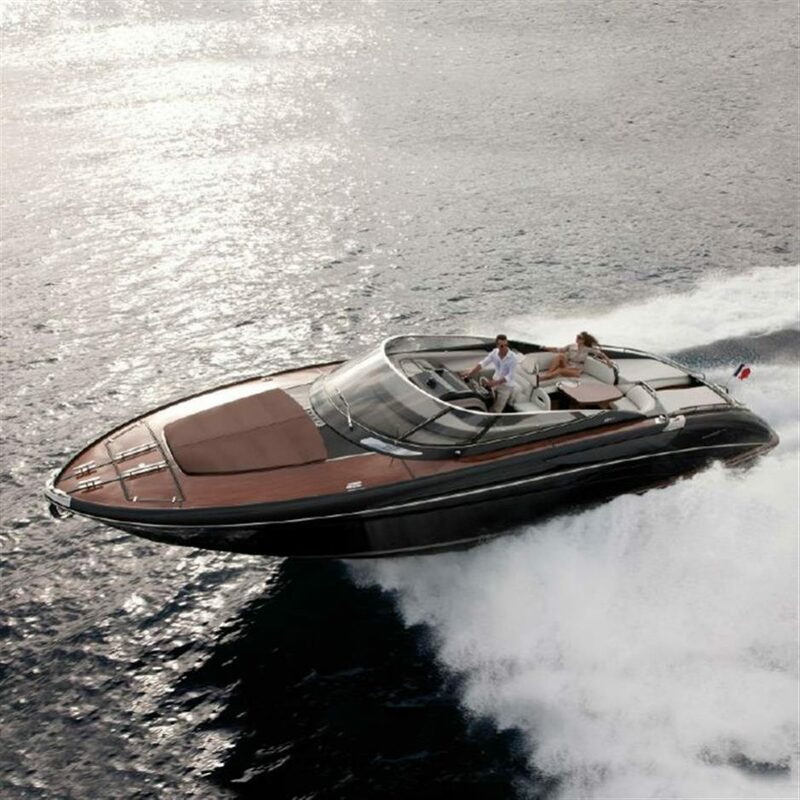 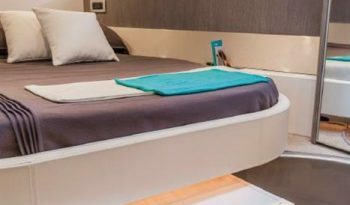 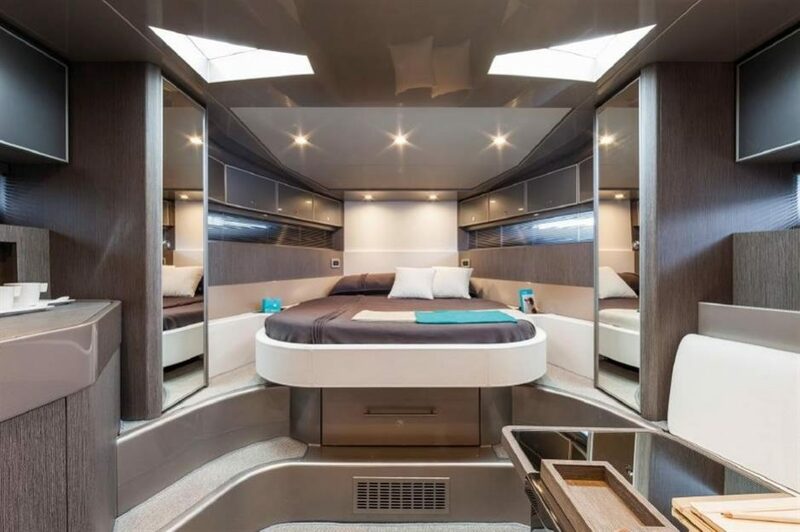 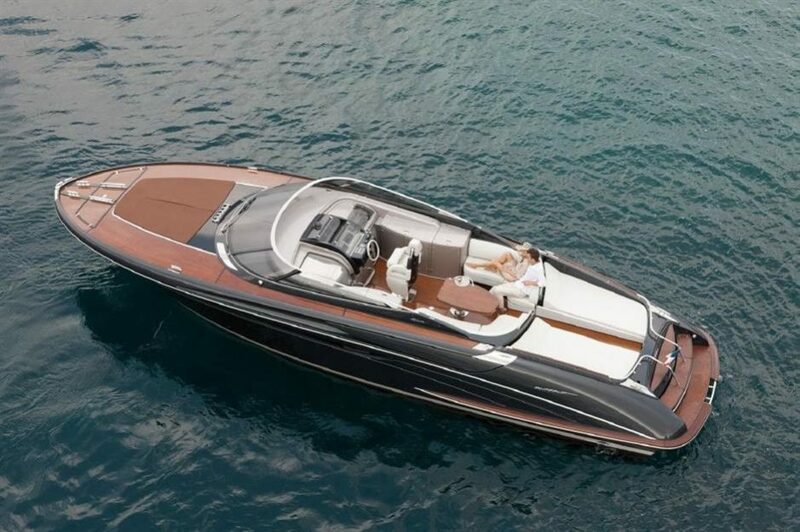 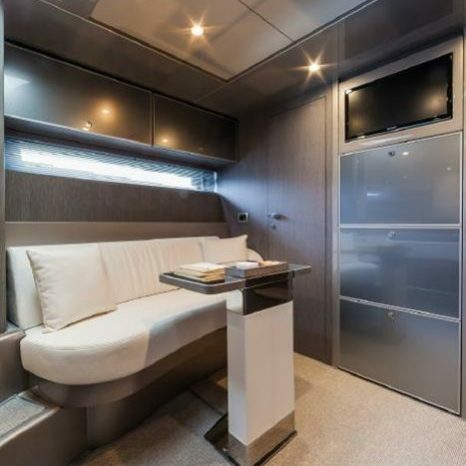 Conceived as a craft for a couple, the Rivarama Super features an innovative layout with one fore master cabin only, offering all possible comforts. 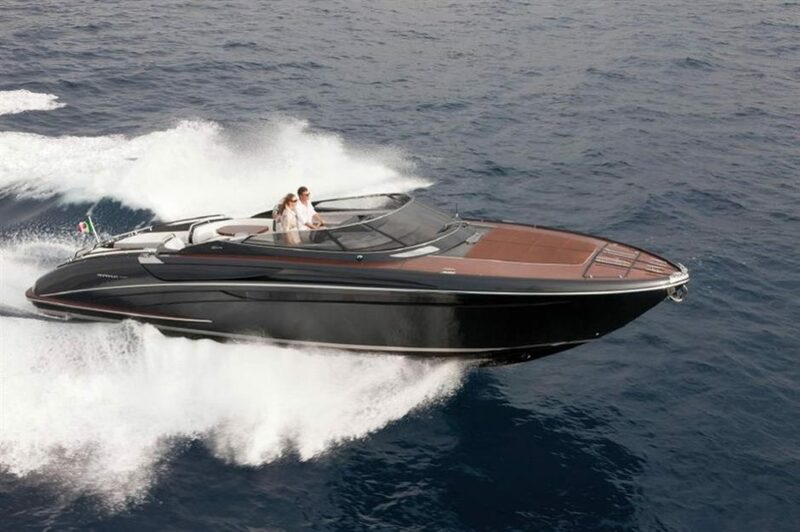 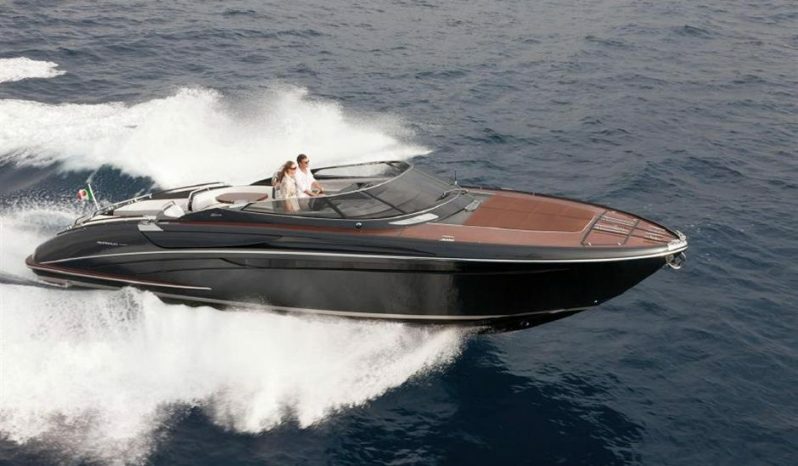 Thanks to the use of fine materials, the precious hand-made finishes, the great livability, and the impressive performances in terms of both acceleration and speed, the Rivarama Super is the ideal yacht even for the most demanding Owners.